Possible risks after repeated use of MRI contrast gadolinium, after dozens of use for MRI scans. 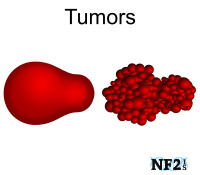 MRI scans are unable to see tumor changes without Gd. Risks include: renal failure/kidney failure, liver damage, brain cell damage, white blood cells issues, and damages DNA. No alternative is available at this time. 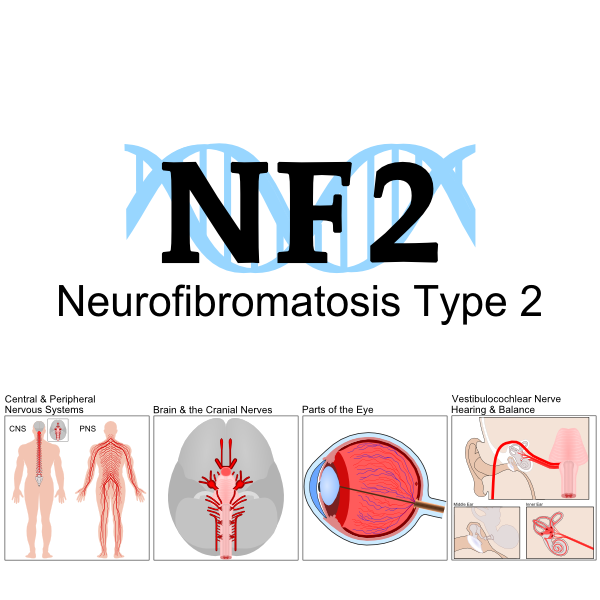 Individuals with neurofibromatosis type 2 (NF2), require three MRI scans each year for a regular review of tumor change; two every six months for brain MRI and one a year for spine MRI, to review changes of tumors. Scans are more frequent years of brain surgeries or tumor-drug treatments. 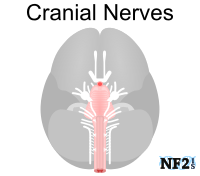 Given the number of scans taken and the total accumulation of gadolinium over time, individuals with NF2 can face health issues from contrast toxicity. 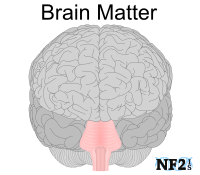 Individuals with neurofibromatosis type 2 (NF2), require a minimum of three MRI scans each year for a regular review of tumor change. The scans are used to review changes in the brain and spinal cord. Scans are more frequent years of brain surgeries or tumor-drug treatments. While MRI contrast Gadolinium (Gd) was thought safer than CT contrast and still may be safer, new developments in 2016 are proving Gd is not as safe as initially believed; particularly after repeated use of Gd. 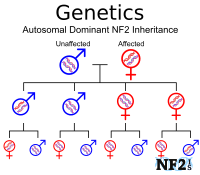 This is an issue for individuals who require one or more medical scan yearly including people with neurofibromatosis (NF); NF1, NF2, and schwannomatosis (SWN). Gadolinium (GD), MRI contrast agents, are a group of contrast compounds used to improve the visibility of internal body structures for magnetic resonance imaging (MRI). The most commonly used compounds for contrast enhancement include a selection of different Gadolinium compounds. 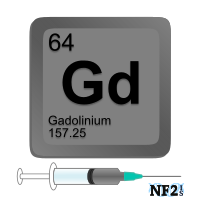 During an MRI/MRA test to enhance what the scans show an injection of a gadolinium-based agent is necessary. There are known possible side effects of these agents that could range from mild discomfort during and for a few hours after the injection. Repeated injections over time can result in kidney problems including possible renal failure/kidney failure). In 2016, researchers confirmed the promise of new contrast agents; 1) iron oxide nanoparticles/magnetic iron oxide nanoparticles (MIONs) and 2) emerged extremely small MIONs (ES-MIONs). 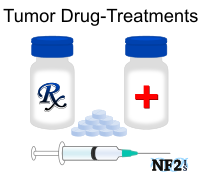 Either of which could potentially replace the Gadolinium-based agents for MRI/MRA contrasts. Nanoparticle options are currently in research and not yet available. Studies are underway in software and equipment to improve image quality to prevent the requirement of contrast agents. This option is unavailable to patients at this time. 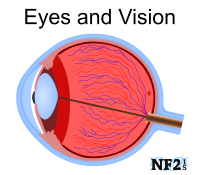 MRI's can also be done with no contrast, however, scans without contrast lack clarity. Methods of reviewing MRI's in additional ways is also in development, but due to a detailed method of reviewing scans is complex and may be unrealistic. 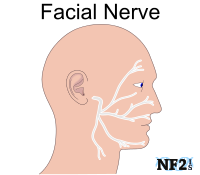 Many with neurofibromatosis (NF) require a minimum of one (1) but up to five (5) MRI tests yearly and are at high risk of side effects of damage from Gd contrasts inability to leave the body over time completely. Hope with ES-MION is it will pass the body completely shortly after a scan, unlike Gd which is permeant. Individuals in need of an MRI to monitor tumor changes should talk to their doctor about options as MRI delays necessary tumor treatments. Healthy Living. SF Gate. "The Best Foods to Increase Kidney Function." Healthy Living. SF Gate. "A List of Low-Oxalate Foods." WebMD. "Creatinine and Creatinine Clearance Blood Tests." Reginster P, Martin B, Denolin V. Neurooncol Open Access. "Comparative Study of Pseudo-Continuous Arterial Spin Labeling and Dynamic Susceptibility Contrast Imaging at 3.0 Tesla in Brain Tumors." (2017), 2: 1.